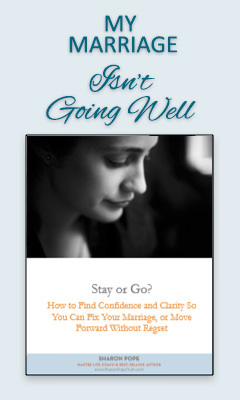 If you’ve been struggling in your marriage and trying to figure out if you should stay or go…the unanswered questions seem to be endless. 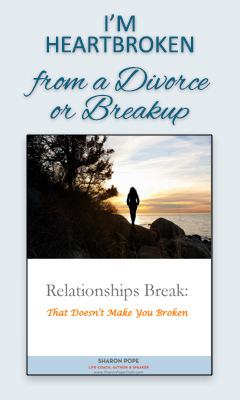 And if you’ve recently gotten out of a painful relationship and are struggling with how to move on…it can feel like the heartache won’t ever go away. But there is a way through this… and I can show you the way. You CAN have a love that doesn’t hurt… no matter who you are, what’s happened in your past or how old you are. Simply select the statement that meets you where you are and you’ll receive an ebook tailored specifically to your relationship challenge. Love isn’t supposed to hurt – I promise. And no matter how hopeless or stuck you feel right now, you can move through this, getting your answers for your life and your heart.